Eleanor Bott- Eleanor trained vocationally in a variety of dance genres through both the B.B.O and the I.D.T.A, she furthered this experience at the University of Birmingham gaining a joint honours degree in both Dance and Drama. Eleanor has 20 years experience working within the performing arts industry as a freelance choreographer and practitioner for various companies and arts organisations. She has also worked within mainstream education teaching a range of subjects including: Dance, Expressive Arts, Performing Arts, Drama and Key Skills, from GCSE to under graduate level. Eleanor has been involved in a variety of collaborative projects including, the creation of a piece of Dance Theatre comissioned by the Tate Gallery and a project to introduce Ballet and Classical Music to young people working alongside the Halle Orchestra. After spending a number of years managing Red Pepper Dance Company and being Head of Department in Dance and Drama at the City of Stoke-on-Trent Sixth Form College, Eleanor decided to refocus her energy on providing professional training for young people within Staffordshire and Fusion Performance Arts was born. As well as being a Creative Director of Fusion Performance Arts, Eleanor is currently a visiting lecturer in Physical Theatre and Laban Studies at Staffordshire University, a practitioner for Reveal Theatre and is a dancer performing with Kinetica Arts. Justine Cope- Justine graduated from Staffordshire University with a First Class Honours Degree in Drama, Performance and Theatre Arts and has worked professionally as a Drama Practitioner, Director, Performer and Teacher since 1995. She holds a National Diploma in Social Care and is passionate about inclusive and enabling arts, spending nine years working for Staffordshire County Council leading Music and Drama Departments for two Day Service Provisions and delivering drama sessions for adults with a learning disability. During this time she formed ‘The Yellow Brick Theatre Company’ with the aim of integrating disabled actors into mainstream theatre and providing pioneering ‘breaking down the barriers’ workshops in local schools. 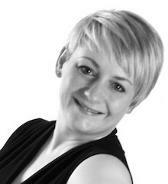 Justine has worked with a diverse with a range of client groups from Babies and Young Children to Adults. She has worked in collaboration with numerous organisations including Staffordshire County Council, Stoke on Trent City Council, The New Vic Theatre, The Belgrade Theatre (Coventry), The Gatehouse Theatre (Stafford) and Embodied Arts, successfully securing funding for a number of community based arts projects exploring a range of topics including ‘Equality and Diversity’, 'Body Image' and ‘Anti-Bullying’. Most recently her work has included delivering drama classes and directing summer schools for Staffordshire Community & Learning Partnership and the delivery of 'Body Image' workshops for Kinetica Arts. 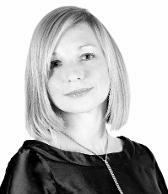 In addition to her Arts work Justine is a Director of Early Stages Limited operating a number of childcare and education settings in the Staffordshire Moorlands and is experienced in providing a range of corporate training. Justine is also a performer and member of the management group for Kinetica Arts a proffessional Arts Organisation operating from The Venue.